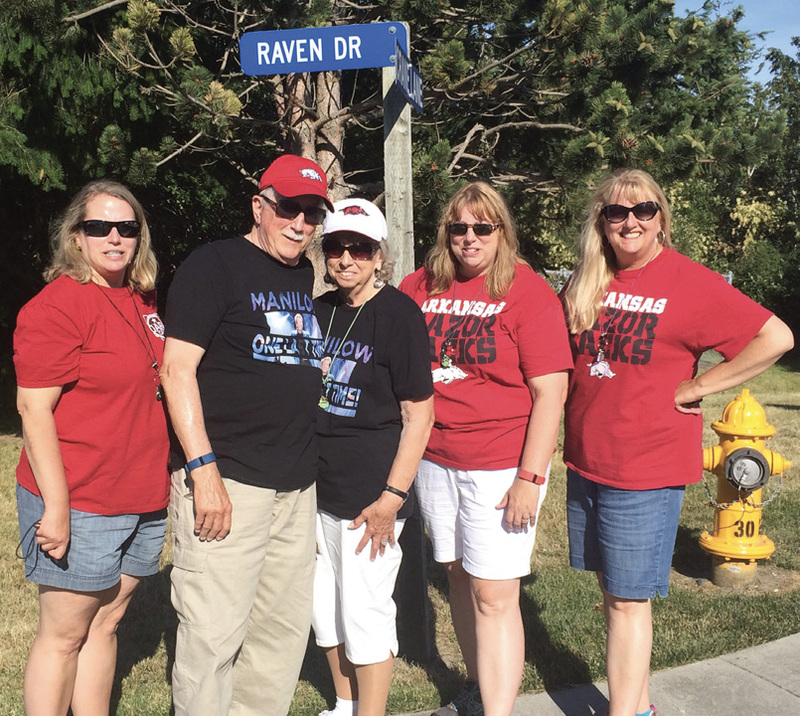 Mary and Stan Clinesmith (in black) with their daughters, Stacey Witherell (from left), Tricia Fine and Sonja Keith on the street where the family lived in Navy housing at Oak Harbor (Whidbey Island), Wash. Two years ago, the family visited Oak Harbor and checked out the area where they had lived. This month, 501 LIFE is exploring “why we live where we live” while celebrating all the wonderful qualities that make Central Arkansas an incredible place to live, work, worship, play and raise a family. Growing up as a “Navy brat,” there were many places that I affectionately called home. Mom and Dad met, fell in love and married in New Iberia, La. That’s where my sister, Tricia, and I were born before the Navy sent us on your way to new homes on Midway Island in the Pacific Ocean, California, Texas (where sisters Stacey and Lori were born) and finally Washington (on another island). At the time, we lived where we lived because it’s where the Navy felt Dad was most needed. Moving and changing schools was challenging for me, and childhood friends came and went, but wherever we lived was home because our family was together. When Dad retired in 1975, we moved to Arkansas and lived with my grandparents, Eva and Millard Harvison, atop Batson Mountain (Johnson County). For most of my life, our home had been away from family, but upon retirement, my parents decided it was time for that to change. Grandpa ran a little country store, farmed and raised chickens, cows and pigs. I have precious memories of our time spent with them, helping Grandpa with the farm chores and Grandma in the kitchen. Grandma was an incredible cook and her blackberry cobbler is the measure by which all blackberry cobblers are judged. Grandpa attempted to teach me how to drive, using his old pickup truck in the hay field one day. I tore out the clutch but he didn’t seem to be too upset. On Sundays, we would all go to church on the mountain. Typically, the women sat on one side of the sanctuary and the men on the other. My grandparents created quite a stir when they sat together. I love that story and the home we shared. While Grandma and Grandpa are gone now, I can still remember sitting on an old church pew on their front porch, watching an occasional truck stir up dust on their dirt road. What I wouldn’t give to share that spot with them again, if just for a few minutes. I miss them so. We remained in Johnson County but moved off the mountain. In the years that followed, home became where I went to college and where I went to work. In 1986, I moved to Central Arkansas and it is where my husband, Tom, and I raised our children. It is home and it is where our heart is, with family. Until next month, here’s to “Loving LIFE” and home in the 501.